Planning an intimate party for friends and family can be harder than planning for a client, especially when you are hosting them in your own home. 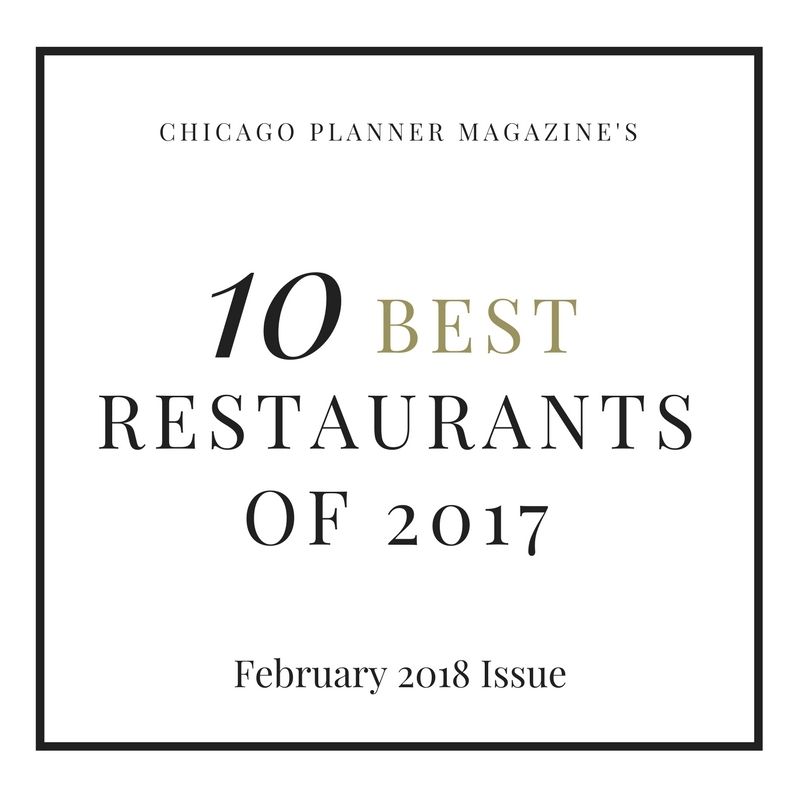 But don’t worry, Chicago Planner Magazine is here to help you plan the perfect dinner party! Themes are great but goals are better. Why, you ask? Themes are fun and allow you to mix great food with amazing color pallets but it can get distracting and divert you from your initial purpose. Why are you hosting this party: are friends in town? Are you celebrating something, or do you just like to get your friends together? Knowing the purpose sets the tone and helps you stay on track and on budget. Once you have a purpose in mind, think about what theme would be best. Keep in mind, a theme doesn’t have to be a set color scheme or menu. Think of it more as a consistent concept or design throughout the event. When it comes to sorting out your theme, things like holidays or viewing parties are easy, but if it’s more personal like someone’s birthday, it can be tougher. For personal celebrations, start by considering the top 3 things comes to mind when you think about the person, or things that you know they like. I once helped a friend plan his wife’s birthday. He asked me what he should do. I knew she loved Zombies so we basically had a Halloween party in the middle of summer and it was perfect. Not celebrating anything specific? No problem. You can aim to stick within your budget first and foremost and then elaborate by highlighting a menu item, be it food or beverage. This will help your entire party feel cohesive and well thought out. You are the host, so unless you have help, make sure that whatever you are serving allows you some time to interact with your guests while still providing them with what they need. If you are a one person show, set up stations ahead of time for drinks and appetizers to allow you to maximize your time mingling. For a beverage table or station be sure to set out glassware, ice, napkins and any accouterments required for the type of beverages being served. This can include fruit and veggies for cocktails, wine and beer openers and any other specialty items necessary. A station can be made wherever is most convenient but be sure it doesn’t disrupt the flow of people moving about. I suggest keeping this area simple. If there’s no bartender, don’t set it up like one. Make something like a rum punch and then offer a red and white wine. This will help manage the area and keep you within your budget. Appetizers should be equally simple. Pre-cut cheeses, crackers, dips, etc. This is an area where you can encourage your guests to bring a dish as well to help cut down on what you need to provide. I personally love creating cheese boards! My personal rule of thumb is the host needs to be in control of the food. This means that if you are doing a pot-luck style dinner, you do not assign any essential items to a guest. I have been to parties where everyone is waiting on a main ingredient to dinner and the person who should be bringing them is late. Create the menu as if no one will be punctual and then think about what you’d like guests to bring. Assign drinks, appetizers or sides but nothing that will interfere with the actual meal. Assigning food & drinks is important but also be flexible. Tell someone to bring desserts for x number of people but allow them to make the choice. If you know someone has an allergy, that’s fine to mention (i.e. Laura is allergic to nuts, so something without nuts would be preferable). Unless you explicitly plan on hosting a grandiose event for your guests, 3 courses is ideal: Appetizer (s), Entree & Sides, Dessert. Appetizers and desserts should be something you can almost entirely prep before the guests arrive, same for the dessert. Have as much of the ingredients portioned out as you can ahead of time. If you are doing a salad, clean and chop all ingredients ahead of time and be sure the salad dressing is done if you’re making it yourself. Then when it’s time to eat, only assembly is needed. This can apply to appetizers like bruschetta, or if you are serving warm appetizers, everything should be prepped and ready to pop in the oven by the time the first guest arrives. Soup can be held at a low temperature on the stove. Entree & Sides should be also be prepped ahead of time as much as possible – that means any marinating, chopping, or anything that doesn’t actually cook the food. Ideally, if you are cooking on the stove, you’ll want to keep to foods with 20-25 minute cook time or less, or items that can go in the oven to ensure you are being hospitable to your guests. Keep in mind, this is also not the time to try a new recipe for the first time. If you’ve never cooked something that you think may even be slightly challenging to you, either try it out ahead of time or save it for another time. Don’t Be Afraid to Buy Your Dessert! If you are prepping a full meal and you do not have guests bringing additional food, don’t feel pressured to make all of it from scratch. There are a few reasons for this. 1) Unless you’ve made it the day before, keep in mind that if you are baking garlic chicken, those flavors will seep into your chocolate cake if you pop it in immediately afterward. 2) It can take a lot of extra time and if you aren’t a baker (I’m not), it will only add to the stress of ensuring your guests have the best experience possible and 3) There are so many amazing bakery and pastry shops out there that this may make more sense. It may even be cost-effective, depending on what type of ingredients your ideal dessert requires.